A mysterious drifter and his dog journey toward Mexico through the barren desert of the Old West. 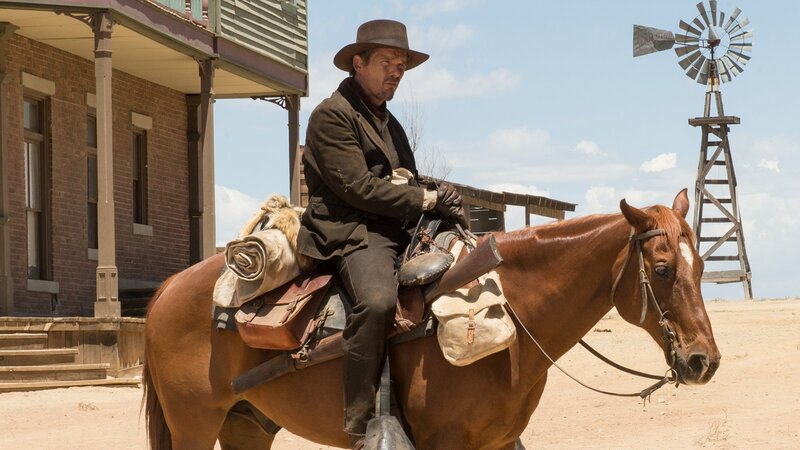 Hoping to shorten their trip, they cut through a large valley, landing in the forgotten town of Denton -- a place now known as a valley of violence. The once-popular mining town is nearly abandoned and controlled by a group of misfits and nitwits, including the seemingly untouchable Gilly, the troublemaking son of the town's difficult marshal.